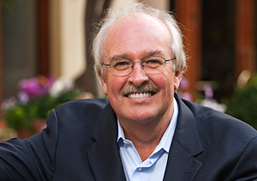 Author, consultant and futurist Ian Morrison served up the opening keynote at the National Healthcare Innovation Summit on May 14 in Boston with a large dose of wit. But he delivered a somber message concerning the urgent need for innovation in healthcare. "We have to innovate," he told the audience. "We don't have a choice. We have hit the wall." The two-day summit, organized by the Healthcare Information and Management Systems Society, is all about innovation – how to spur innovation and how to sustain it. Wendy Everett, CEO of NEHI – Network for Excellence in Health Innovation – and Molly Coye, MD, chief innovation officer at UCLA, co-chaired the event. "We focus on those innovations that have demonstrated value" in pursuit of the Triple Aim – the Triple Aim being care, health and cost, she explained. A move toward both public and private health exchanges for the purchase of health insurance. The country is learning to live on Medicare, which means reducing costs by 10 to 20 percent. "All the assets in the old model become liabilities in the new model," he said. Massive consolidation of hospitals continues with the expectation that there will be 100 to 200 large regional systems around the country. The accepted view is "you have to be big, and you have to be integrated," Morrison said, adding the question: "How do you get these behemoths to really innovate?" He later noted, "More of these large behemoth businesses are willing to take the risks. They are getting into the health plans." Employers, who have been purchasers of health insurance for their employees, are showing signs of an exit. "Every purchaser has become an activist about wellness – some would say 'Stalinist,'" Morrison said. "There are powerful forces that will require us to innovate," Morrison wrote on his website. "By 2025 a full 20 percent of the population will be over 65. And they will not be the passive stoics of Tom Brokaw's Greatest Generation. They will be cranky, selfish, self-indulgent baby boomers like me. They will want everything and sacrifice nothing. Armed with information and attitude they will demand the best that technology can offer. And technology will oblige. The combination of progress in medical science and information technology holds the promise of dazzling new interventions that will be incredibly effective and expensive. We will want it all." Morrison told the innovation summit audience that in the short term, there would be lots of agitation and planning. He predicted the industry would not get serious about change until 2018. There are two competing visions for the U.S. healthcare system, he proffered: The Berwickinian Nirvana (named for Donald Berwick, former CMS Administrator) of the large ACOs that encourage rationalization of the delivery system and the atomistic view of a consumer armed only with high deductible health plans that will impose market discipline on providers." "Those two visions need to be reconciled," he said. There is so much work left to do that requires innovation, Morrison said. He rattled off a few: clinical integration, health IT as platform, learning to live on Medicare, managing business model migration, building a culture of quality and accountability. "We have the anatomy of an accountable care organization but none of the physiology," he commented. "When you get in the Triple Aim work, you have to think in different kinds of innovations," Morrison said. "You have to open your mind. You've got to get serious. I don't think we're going back to the 1970s. The purchasers have had it; they’re not going to take it anymore."